Test fitting side planks. 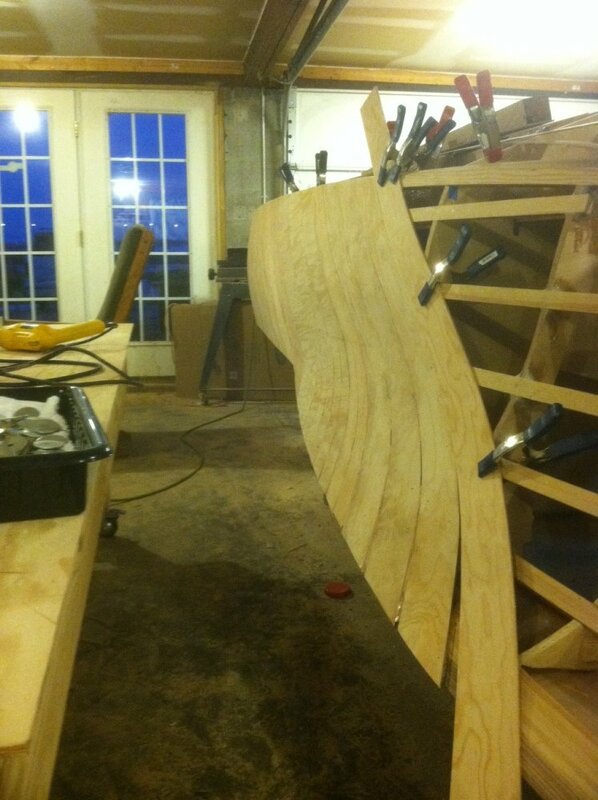 Planking this hull with 1/4" Douglas Fir is a real challenge! That forwardmost plank will need a bit more spiling to fit!